The Best Practice to Enforce a Marital Settlement Agreement. A Marital Settlement Agreement, as defined by Nolos Plain English Law Dictionary is “The document that sets out the terms of a divorce settlement between two spouses. The marital settlement agreement (MSA) is usually incorporated into the final judgment so that it has the force of a court order.” Areas covered in a MSA include division of marital property both real and personal, marital debt, alimony (spousal support), parental timesharing, and child support. And, depending on an individual case, other concerns such as relocation parameters, attorney fees, and/or a monetary settlement other than alimony may be a part of the MSA. The dissolution of marriage is completed. The final settlement, MSA, either from mediation or a judge’s decision, is signed by the judge and put into a final judgment document. Each party has a copy of this final judgment document, a copy is filed with the court, and each party is expected to fulfill the requirements therein. While this is the hoped for and expected outcome of a final settlement, sometimes one party or the other does not follow through with what is expected. What happens then? Unfortunately, especially if a person’s financial situation, health, or domicile spirals downward, there is not always a way to enforce settlement requirements. However, in most instances it is worth at least talking with an experienced Family Law attorney to see if there are ways to seek help in rectifying the situation and enforcing the marital settlement agreement. Some of the possible areas of enforcement help provided by a court can include the following. Child support and arrearage: In Florida, a marital settlement agreement in which there are provisions made for minor children, is developed in the best interests of the child and the court expects all concerned to honor the adjudicated outcomes. When either party fails to provide the required amount of child support, the court will take seriously the matter of arrearage. The offended party can petition the court to take appropriate arrearage actions by using either a family law attorney or, at no cost, use the Florida Department of Revenue child Support Enforcement. As there are usually over 1,000 cases being handled at a time, using the latter, however, can take many months and there is no contact with the attorney representing the case until the day of the hearing. Following the presentation of evidence regarding the amount of arrearage and the reasons for the problem, a judge will order the entire delinquent amount to be paid and child support to be resumed as ordered in the MSA. If this cannot or will not be done, until the back amount is paid the offending party will be adjudicated consequences which can include the revoking of a driver’s license and/or car registration and license plate, the taking of any income tax refunds to be applied to the arrearage, garnishing wages or monies in a bank account, and even incarceration of up to 179 days. Additionally, future child support payments are usually ordered to be paid through the court to better ensure their enforcement. Alimony (spousal support): While it is usually more difficult to collect back owed alimony, with the help of an experienced Family Law Attorney (there is no free state legal help) it is possible to petition the court to put pressure on the offending party by use of garnishing wages, retirement funds, and/or social security payments. As there is no relocation limits unless there are minor children, the offending party will often move to another state from the final judgment, which makes the recovering of alimony arrearages even more difficult. Parental Timesharing: A parent or legal caregiver can be held in contempt of court for not adhering to the parenting plan which includes decision making on education, discipline, medical, and religion as well as how communication and transportation will take place between child and each party involved. Also, not following the timesharing arrangements as prescribed can be cause for contempt. To be in civil contempt means when a party is able but refuses to comply with a court order. The court will attempt to have the order complied with and can use means such as ordering appropriate enforcement of the order, having the party in contempt pay part of the other party’s attorney fees, and/or time in jail. Inappropriate relocation of a minor child or adjudicated caregiver can also result in contempt. Debts: When MSA debts that are ongoing such as credit cards, mortgages, and/or structured payments become delinquent, there is little a court can do. The court can order the payments to be caught up and resumed but the party involved cannot be held in contempt, as these debts are a private matter. It becomes up to the party holding the debt such as a bank, car dealership, or company to pursue payment of the debt in question. Sometimes bankruptcy will be the solution to these issues. As can easily be seen the area of enforcing a marital settlement agreement can be fraught with difficulties. 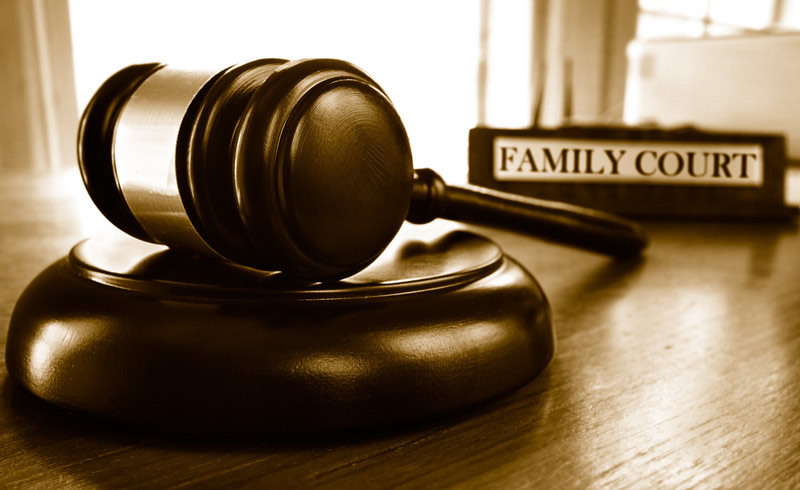 Finding an experienced Family Law Attorney is essential to getting the best possible outcome. If you live in Palm Beach, Broward, Martin, St. Lucie, Miami-Dade, Orange, or Hillsborough counties in Florida or Washington, DC, or New York Attorney Grant Gisondo is available and experienced to help. HIs office is in Palm Beach Gardens and he can be reached at (561) 530-4568 to make an appointment for an initial, free, in-office consultation. He will meet with you personally. Also, by visiting his web-site https://gisondolaw.com/ you can learn more details about issues such as child support and arrearage, alimony, parental timesharing, equitable distribution of marital assets and liabilities, bankruptcy, pre and post nuptial agreements, divorce (dissolution of marriage), and post judgment modifications for alimony and child support. Additionally, these are all areas in which Attorney Gisondo is experienced and can represent you.